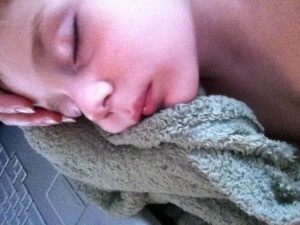 Right now as I type this, my own three year old boy is asleep in my arms. And what motivates me to write this, is the fact that there are hundreds and thousands of women sitting around the world holding their child too, only their child won't get up again. Their child is dying from diseases that are so easily preventable with access to water, and knowledge about hygiene and sanitation. Though I was born here in America, and they may have been born somewhere else- their love for their child is no different then the love I have for mine. Their desire to meet each one of their needs is no less then my desire. I want to help give these moms the chance to help their child, a chance to give them life, and a chance they will each hear of hope-everlasting.